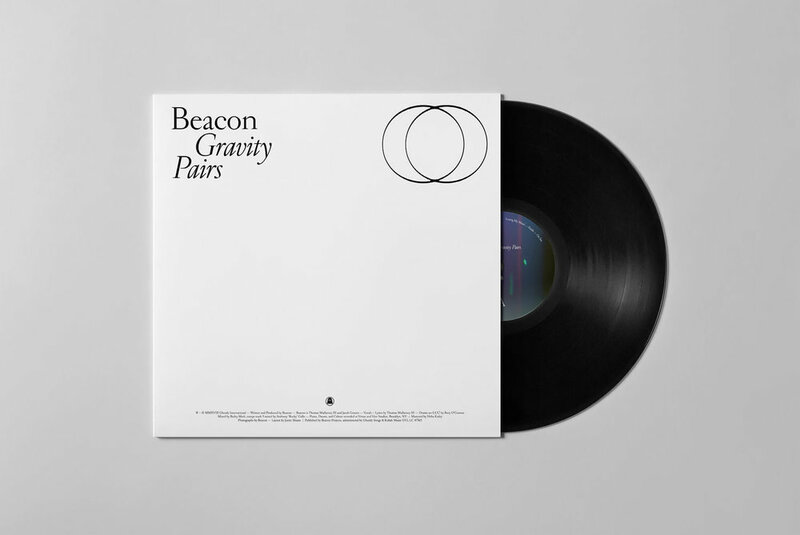 "All matter is created by dividing gravity into pairs," said 20th-century scientific-mystic Walter Russell, whose idiosyncratic “new world-thought” writings conveyed a rhythmic exchange “between all pairs of opposite expressions.” On their third LP Gravity Pairs, Beacon channel the philosophy with pure pop mystique, slicing through dense and foggy dance and electronic music apparatuses to create something familiar but unique, melodic but cathartic. Special Edition Vinyl Bundle is available for pre-order now at The Ghostly Store. Limited Stock -- Poster and T-shirt ship immediately. Sign up below to be the first to know about tour dates in 2018-19.